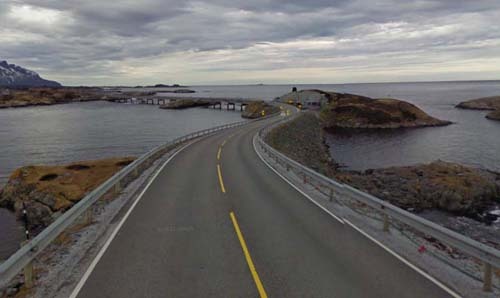 The Atlanterhavsveien or the Atlantic Ocean Road is a spectacular way to get from the mainland coast, jumping from island to island, to reach Averøy. 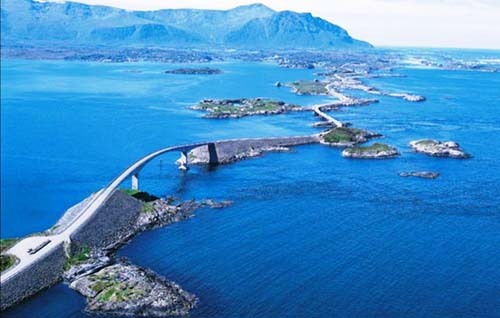 It is a fantastic journey of twisting bridges across the sea that shortens travel times while at the same time providing fantastic views. 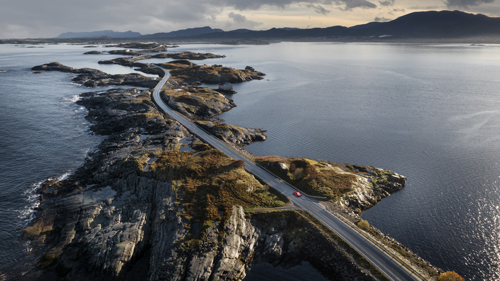 It is no coincidence that this road is the second most visited tourist destination in Norway. 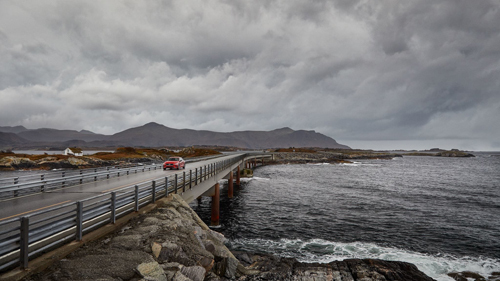 addition, the British newspaper The Guardian picked it as the best road trip in the world. 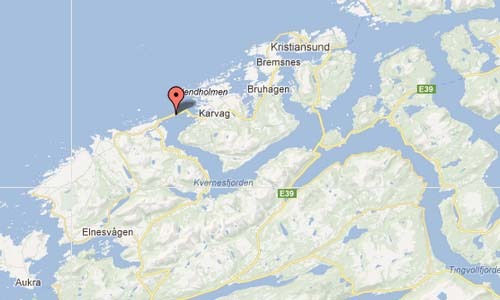 Located in the western fjord area, at certain times of the year seals and even whales can be sighted. 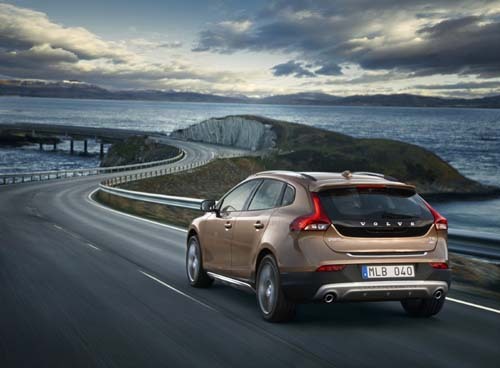 Fishing is one of the biggest attractions of the area. 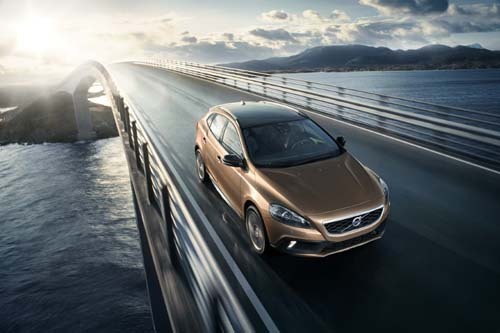 So much so that many people fish on the highway bridges, a fact with which travelers should be careful when driving. 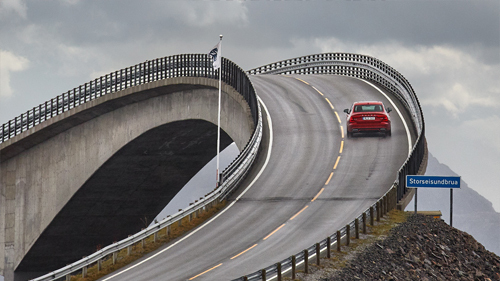 Since 2009, the Atlantic Road continues from Averøy to Kristiansund through a toll tunnel named Atlanterhavstunnelen (‘Atlantic Tunnel’). 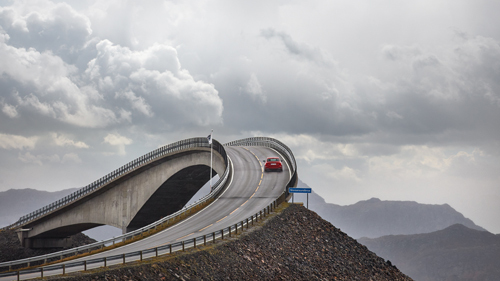 Its construction was extended for six years (almost 1.5 Km= 0.9 miles per year), but since its opening in 1989, it has become the second most visited coastal road by tourists, going on to win the 2005 award for best Norwegian construction. 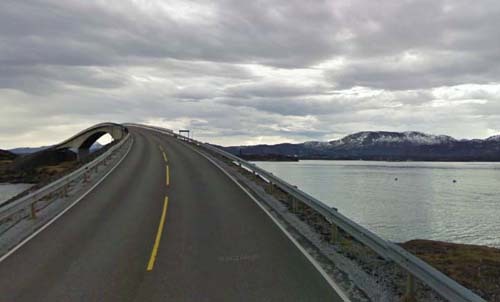 To follow the road it is best to get to Molde and then take Highway 64, which is precisely the Atlanterhavsveien. 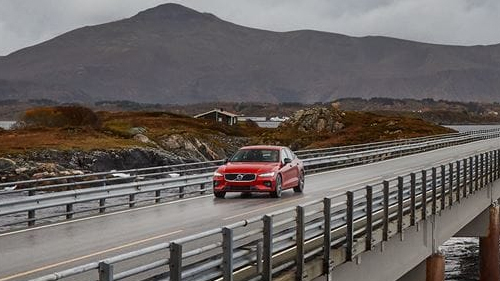 The journey from the historic city of Bergen to Molde has 450 km (280 mi), covering the entire area of the fjords, no doubt an awesome ‘road trip’. 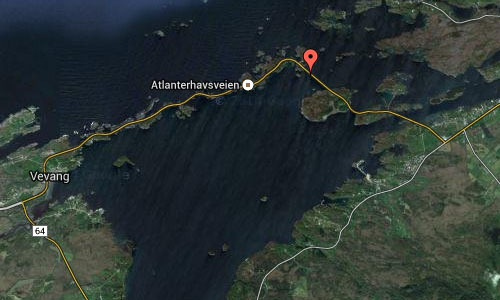 Oslo is another 600 kilometers (373 mi) away. 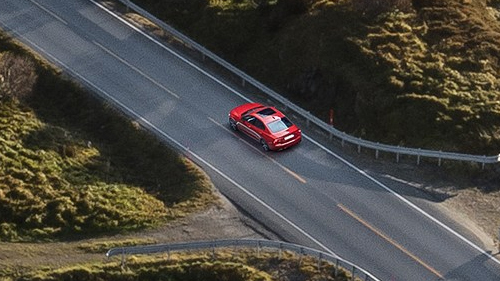 The road has become a popular place for the automotive industry to film automotive advertisements; more than ten manufacturers have made television commercials along the route, often depicting the harsh weather.